Kenneth Lee “Doc” Oglesby, age 61, died Friday, January 25, 2019. 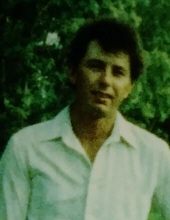 Kenneth was an Electrician for twelve years at CDE in Loudon, Tennessee. He enjoyed fishing and being on the water. Preceding him in death were his parents, Theodore Lee and Frances Etta Mullins Oglesby; sons, Russell Caldwell and Paul Katka,Jr. ; sister, Deborah Oglesby. Survivors include his wife, Stella Mae Noe Oglesby; step sons, Floyd Thompson, Jr., Gary Wayne Caldwell, David Caldwell; daughters, Lea Ann Oglesby, step daughter, Sheila Toteno; brothers, Bo (Alene) Oglesby, Richard keith Oglesby, Ted (Dawn) Oglesby; sisters, Sonia Doreen Oglesby, Sandy (Joe) Stair ; several grandchildren; great-grandchildren; nieces, nephews, cousins, and a host of friends. A Graveside service will be 1:00 pm CST Thursday, January 31, 2019 in “The Family Cemetery”. The family will receive friends 12-2pm CST Wednesday, January 30, 2019 at the funeral home. "Email Address" would like to share the life celebration of Kenneth Lee Oglesby. Click on the "link" to go to share a favorite memory or leave a condolence message for the family.